She did it! 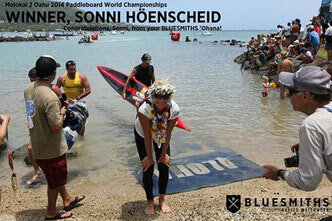 Congratulations to Sonni Hönscheid on her Molokai2Oahu win! Sonni's passion for oceansports has no limits and her dedication and endurance have paid off by winning the biggest prize in paddlesports. Crossing the Channel of Bones is a feat in itself. Winning is, well, something that gets you in the hall of fame for paddlesports. Sonni, your Bluesmiths 'Ohana is extremely proud to celebrate this accomplishment with you! It's well deserved. 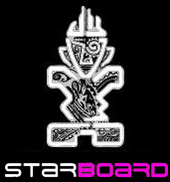 The team is super important in choosing the best course and motivating the rider. Without them it all would not have been possible!